Transducers, sensors and interfaces for marine navigation devices. Allows you to connect a blu receiver to a computer for decoding weatherfax and telex. 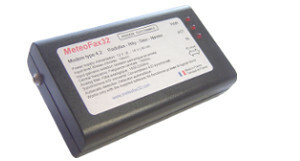 Provided with the MétéoFax32 software. HIGH SENSITIVITY: Worldwide coverage guaranteed by the sensitivity of the modem. Compatible with all SSB receivers. 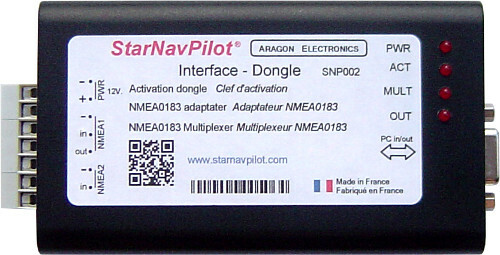 Interface allowing to connect in optimal condition the NMEA network to a computer running the navigation software StarNavPilot. Connection to the computer via RS232 or USB. Dongle of activation to use the software on any computer connected to the interface. Multiple NMEA input with multiplexer. 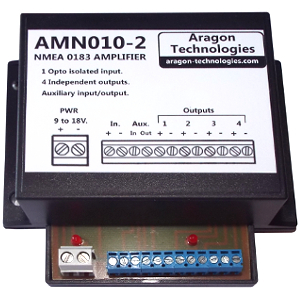 The AMN010-2 is a hight efficiency NMEA amplifier. It corrects and amplifies the NMEA signal and send it on 4 independent NMEA outputs, which allows you to connect a device (eg, GPS) to multiple NMEA devices without risk of disruption due to an overload of the NMEA bus. Its NMEA input is optically isolated to eliminate the risk of disruption from ground loops or floating reference levels. Its powerful and independent outputs can be used with any NMEA 0183 device. 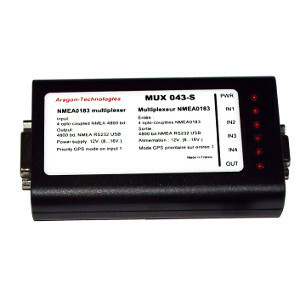 The MUX 043 NMEA multiplexer adds to the flow of data from the GPS, data from other navigation devices. NMEA sentences of these devices will be added to the sentences sent by the GPS. Examples of use: add to the GPS data the data provided by a depth meter, a wind sensor and a electronic magnetic compass to provide all necessary information to a computer or an autopilot. The GPLS012 NMEA 0183 use data from a GPS to creates paddlewheel signal so you can use a standard speed log without a transducer. 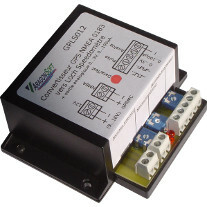 The GPLS012 is a electronic module that takes speed over the ground (SOG) data from a GPS and creates a paddlewheel speed signal that can be used by electronic speed logs in place of a paddle wheel speed transducer. 1 : With a speed log or navigation unit. 2 : Direct connection to analog repeater. 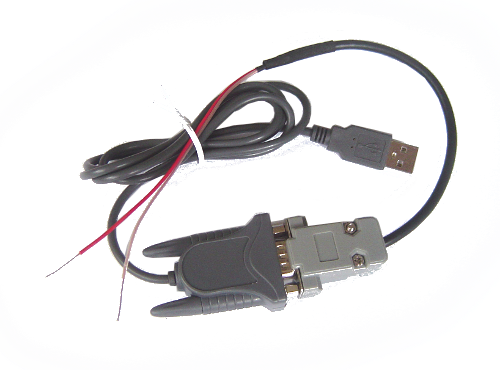 This adapter allows to connect a NMEA 0183 GPS or an AIS receiver to a computer via USB. Compatible speeds: 4800 and 38400 baud. 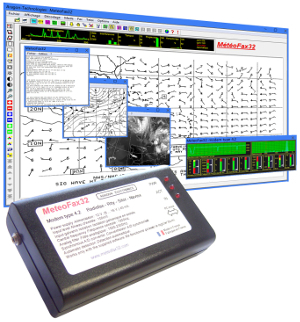 Weatherfax, RTTY, Sitor and Navtex decoding software with modem. Worldwide coverage guaranteed by the sensitivity of the modem..
Navigation software or PC based chartplotter with AIS and GRIB. Compatible with all NMEA GPS.